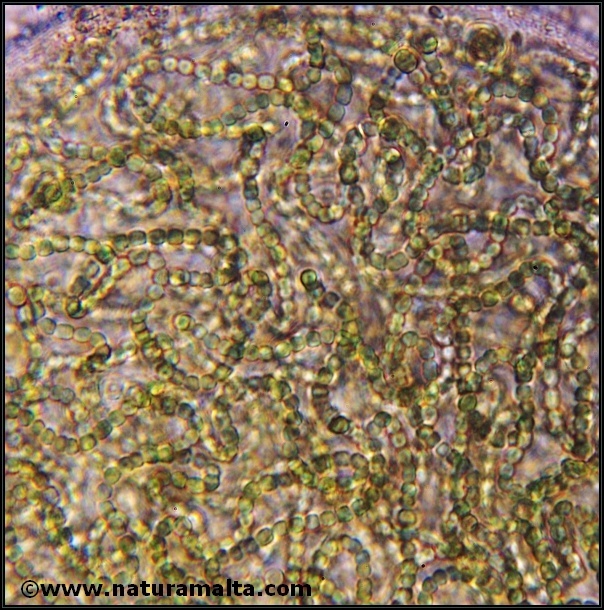 This Nostoc species is found growing in rainwater collected in a glass container. 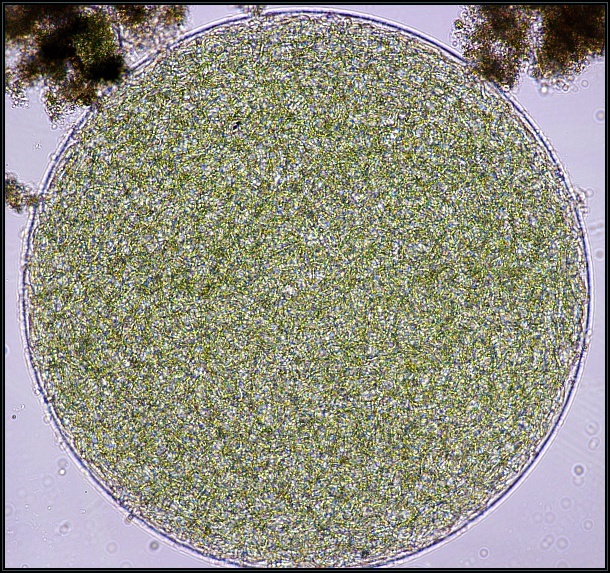 Nostoc is a genus of cyanobacteria which grow in long filaments encapsulated in a gelatinous sheath. The colonies can be very large (in mm) rounded and green coloured. The species is commonly found in the rainy season (winter) in localized areas.